In the computer world, upgrading often means adding more functionality, capacity, or speed. The promotional world works slightly different. While the conventional meaning of the upgrade can add value to a promotional item, the right accessory to the USB flash drive can do a lot more. The USB flash drive has established itself as a great promotional tool through customization, convenience, and functionality. There are hundreds of different models to choose from; not including the items that you can make 100% custom. However, promotion is not all about just slapping a logo on the flash drive, mug, or a t-shirt. I think many would agree that it’s about building and maintaining your brand. Your business spends enormous amounts of money into associating your brand with values of quality, excellence, dependability, creativity, and cutting-edge. Your services and products are designed to speak the language of these incredible values; your marketing products must absolutely do the same. A promotional product is often neglected as a simple giveaway. It’s just something that you have to have on your table because the guy next to you offers a similar product. The idea in one’s mind is that it has to be as cheap as possible – I’ll be giving these away anyway! Wait one second. What happened to all of those values that you’ve spent building into your brand? It’s important to continue treating every product that is offered or given away as a company’s product. Every item represents your company. The cheapest pen that will break in a day, a t-shirt that cannot hold after a single wash, and a flash drive that stops working after a week just will not do. While a single promotional product will not necessarily win any customer in a single event. With a right approach, it will continue building your brand. Many customers who purchase the USB flash drives tend to go with the most economical solution. It is quite understandable, especially in the current economic times. There seems to be a single focus that the value of the promotional USB flash drive is primarily in capacity, and not in the presentability of the item. While I do agree that capacity is quite important, I also think that the accessories are as important or possibly more important than the capacity. When the promotional item is properly accessorized, it is upgraded in a way that no capacity or speed can upgrade. The item feels, looks, and speaks thoughtfulness, design, uniqueness, and style. An accessory can help your promotional item speak on many different levels and reach farther than an item alone. 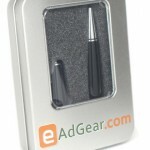 One of the most effective methods to upgrade (accessorize) your promotional drive is a stylish gift box. It has to be stylish and quality made, and most importantly display your promotional item as you would crown jewels, and engagement ring, or an expensive gold pen. 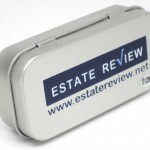 These gift boxes add significant value to your promotional USB flash drive. Not only do they present your item with style, they also make your brand stand out, and be immediately recognizable. While it is possible to present each drive in a simple clear plastic bag, the frugality of the bag does not speak the language of your brand, bar a dollar store. Right presentation is an effective investment – it may be more important than the product that is being presented. Make sure your promotional products speak the same language as the rest of your business. 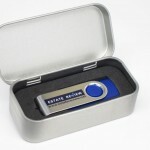 Upgrading your promotional USB flash drive is not an option, it is a necessity. It is that time again for presenting your product or service at a convention, fair, show or any other venue. What product should you choose for give-aways or promotional merchandise? The obvious true and tried choices that always come to mind are imprinted pens, t-shirts, mugs, wristbands, key chains, lanyards, small notepads, and those weird novelty items that make little sense after a short while. So what is the best choice the produces the best result for your marketing dollar? One has to think of the product usefulness: The longer your potential client hangs to the item with your brand printed on it, the longer your promotional item pays off. If you stick with this simple idea, your marketing dollars will be put to much better use. Such items as pens, t-shirts, wristbands, and mugs have a much higher chance of seeing a substantial amount of use, and in turn your brand visibility. Many companies choose to stay with these good choices consistently and in some cases over several decades. However, not many companies realize that even a higher efficiency promotional product exists that can offer much more than a conventional choice. USB flash drives offer both the usefulness and attractiveness in the modern times. The drives have a great staying power with your potential client by staying close to the most often used electronic device – the computer. With various capacities fulfilling the need from storing basic documents to storing large libraries of music and videos, the USB flash drive will carry your brand anywhere your potential client will go. We cannot leave out the cost of your promotional product out of the promotional product efficiency. The USB flash drives will drive up a higher cost in comparison to pens, t-shirts, and other conventional promotional items. However, if the product staying power is considered, one can understand that the extra cost of the USB flash drive is justified by potentially substantially larger staying power. 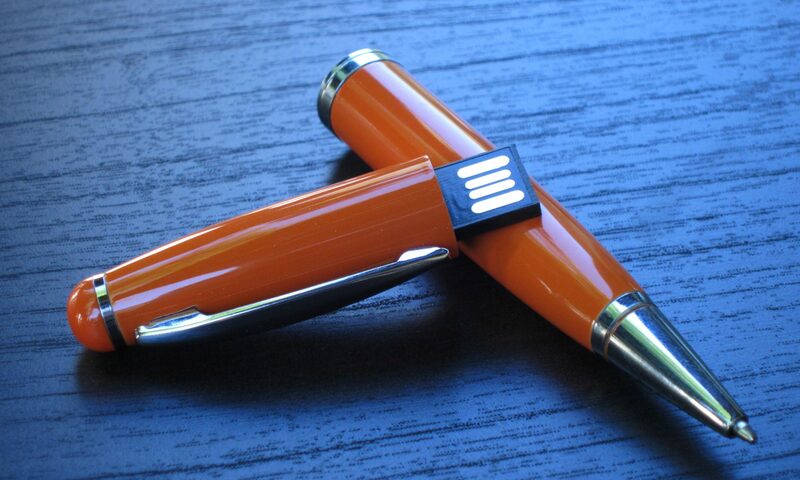 The ability of the USB flash drive to work with a laptop or a computer, and its ability of substantial staying power with your potential client, make it one of the best choices as a promotional product.